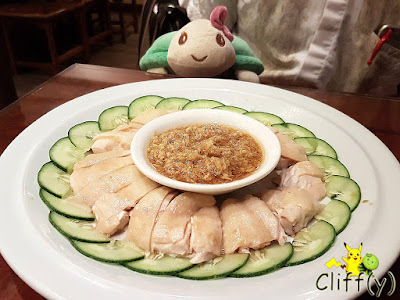 The history of Soup Restaurant goes back to 1991 when the founders observed the increasing popularity of herbal soup varieties in HK, thereby establishing the first outlet at Smith Street in the Chinatown area. 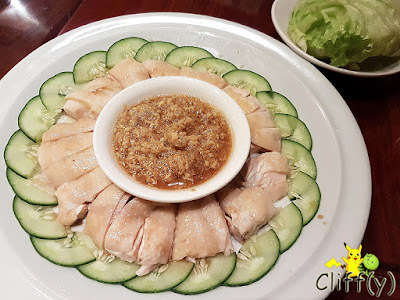 The well-loved Samsui Ginger Chicken was only introduced three years later, and it has since become one of the restaurant's signature dishes. 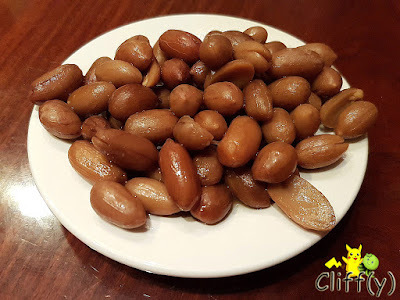 The peanuts were truly sweet and aromatic, testament to the fact that they were braised very well. 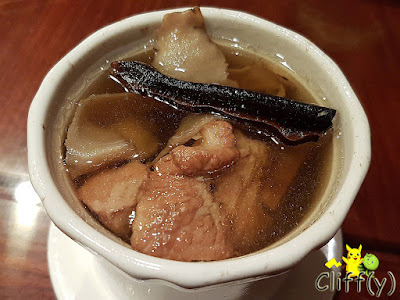 Living up to its name, the restaurant served hearty pork ribs soup infused with the essence of the medicinal lingzhi mushroom that supports the immune system and is used in cancer treatment. The piping hot soup, which included moderately tender pork ribs, had a clean sweetness that whetted my appetite. The renowned dish, which my mom knows how to make from scratch, was no doubt delicious. While I felt that the white meat wasn't the freshest I could get, it was tender with gelatinous skin attached. The ginger sauce was potent as expected. Standard has slightly dropped though, I feel. Given the ubiquity of salted egg-inspired items these days, the restaurant has jumped on the bandwagon. 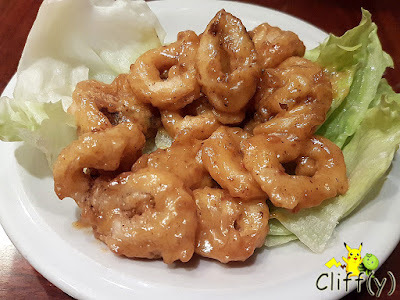 The sauce turned out to be unconventional as it didn't taste like it was made from salted egg yolk, but it wasn't that shabby either. It was pretty sweet and spicy at the same time. The squid was of adequate freshness. 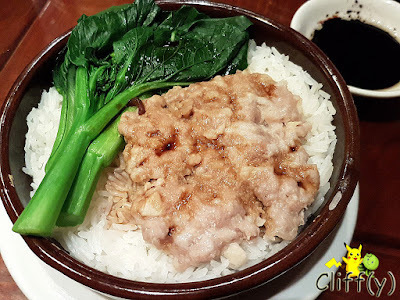 I enjoyed the steamed pork patty that had a lightly chewy texture that was contrasted by the crunchiness of the interspersed turnip cubes. More sesame oil could be used to enhance the aroma. The rice was well-cooked, while the greens were mildly sweet. For the price, the dish was quite worth it. 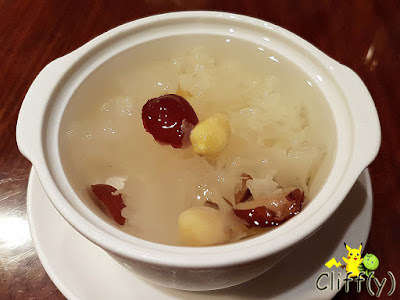 A simple cold dessert item of snow fungi with gingko nuts and red dates was all I needed at the end of the dinner. Sweetened with rock sugar, it was the best I've had in many years. 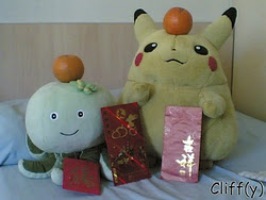 Pika's advice: You can request for the hot version.